Looking for a perfect event to bond with your family? 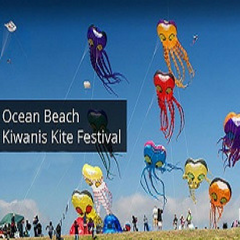 Then Ocean Beach Kite Festival is the perfect event for you! Head over to Dusty Rhodes Park on May 12, 2018 and fill your day with live music, street fair, carnival rides and, of course, kites. Experience the oldest children’s kite festival in the United States. Youngsters are taught how to make and fly kites. All materials are supplied. There are prizes for the best-decorated kites. Any handmade kite can be submitted, not just kites made at the festival. Check out sandiego.org for more information. See you!